Richard Ratcliffe said it was not clear what was delaying a UK return for his wife, who is serving a five-year prison sentence in Iran. The jailed British mum thanked those attending a rally and march, including actress Emma Thompson, through a phone and loudspeaker. 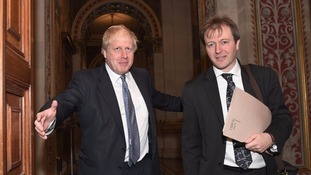 The husband of Nazanin Zaghari-Ratcliffe says he has held "positive and constructive" talks with Boris Johnson over her detention in Iran.